Have I ever told you all that growing up I never had shrimp, let a lone any other seafood. Sure when I was little I ate fish sticks, but I am a baby of the 80’s and a child of the 90’s, those were staples. But real seafood was something that we just didn’t eat. At some point, even though I never tried it, the thought of it disgusted me. That was until I met my partner, he LOVES seafood. He encouraged me to try it and I’ve loved it ever since! Another food that I never had growing up was food from the deep south. Whether it be real southern style food, especially dishes from Louisiana. But I guess that wouldn’t be a huge surprise since most of the Louisiana dishes involve some type of shellfish or another. 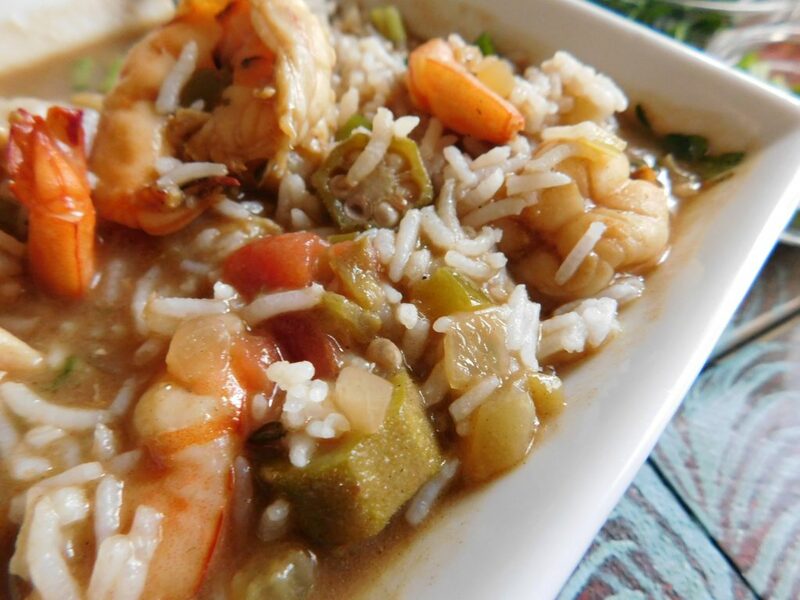 One dish in particular that I have grown to love (well not really grown since the first time I had it I loved it) is shrimp and okra gumbo. 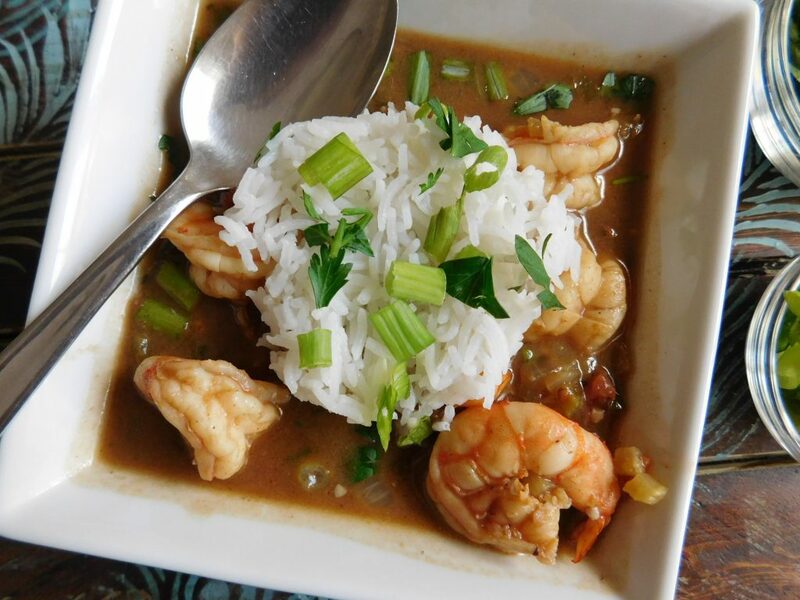 Shrimp Gumbo (or any gumbo for that matter) is a pretty easy dish to make, however, it is time-consuming. 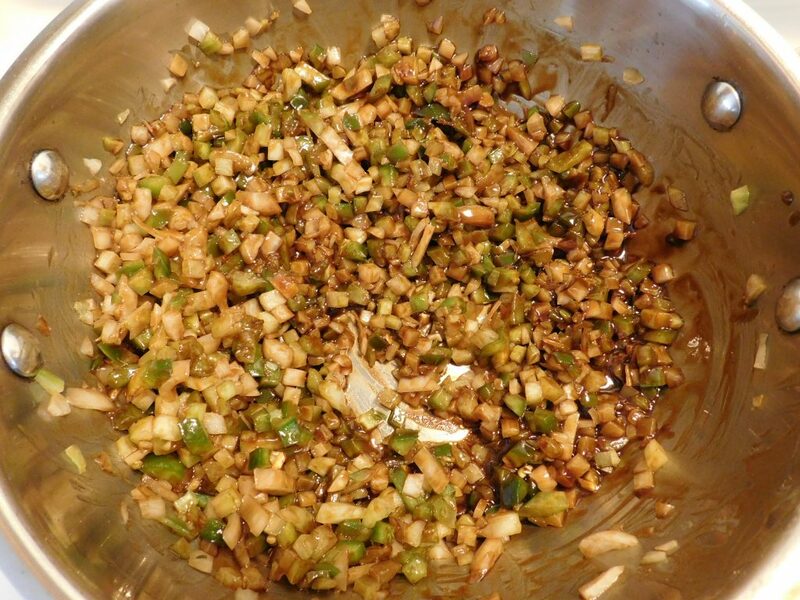 Traditionally gumbo starts off with a roux, a flour and some sort of fat base that deepens the flavor of the gumbo. 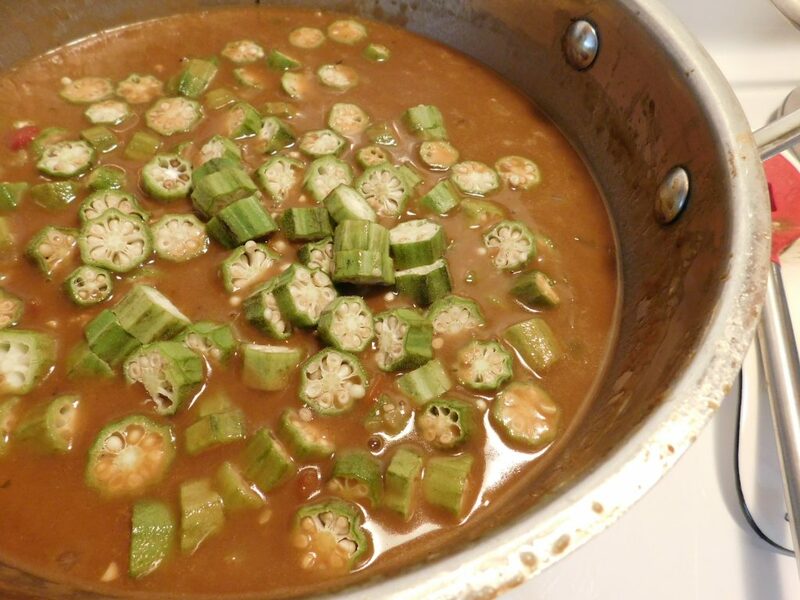 Likely if you speak to a true Louisianan, they’ll tell you that if you’re gumbo doesn’t start off with a roux, then it’s not gumbo. 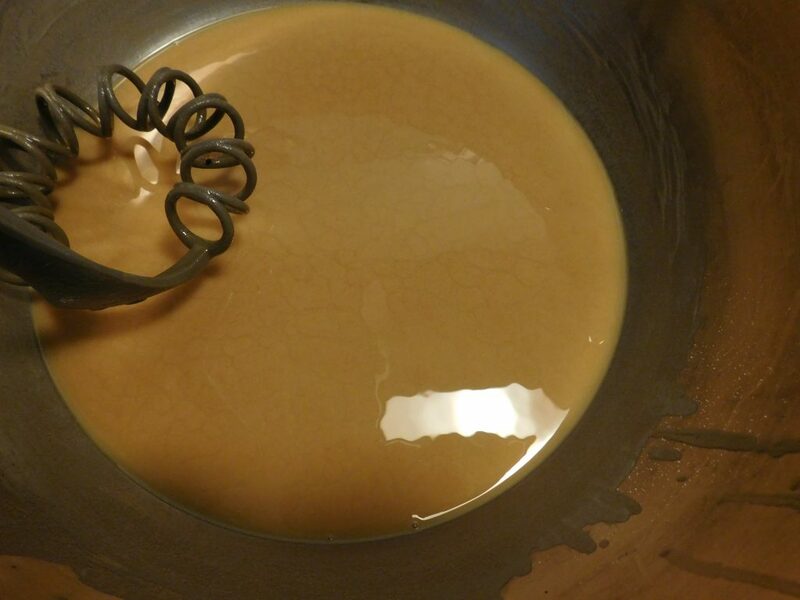 It can be tricky if you’re not consistently stirring it and have it on the right temperature. It’s definitely something that takes patience, but well worth the wait. 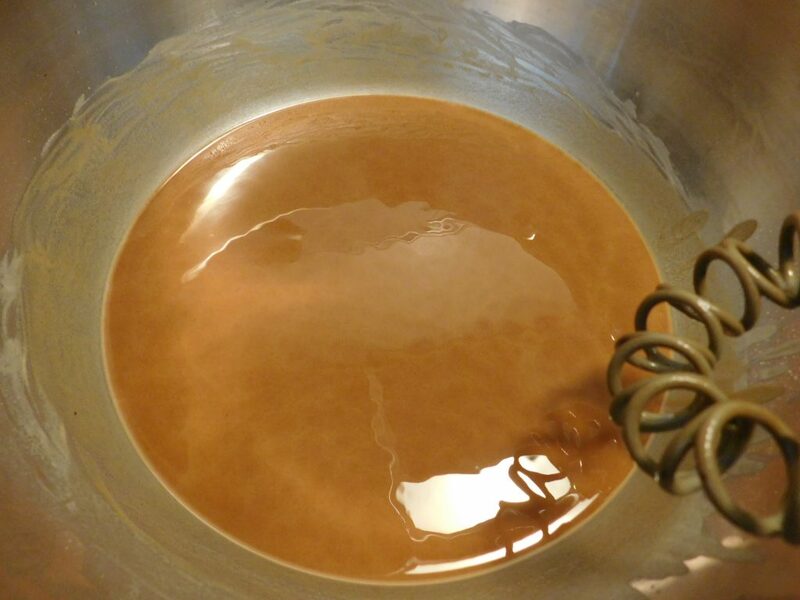 You want the color of your roux to be the color of a penny, something dark. I thought I killed it by adding the broth. I had to raise the heat and let it boil a bit longer than I had originally anticipated. Truly you should simmer the base (roux, Holy Trilogy, garlic, seasoning and broth) for around 3 hours, I simmered mine for about an hour and it still came out fine. I used about 3 pounds of shrimp, since I added no other seafood (or meat) then I figured 3 pounds would be a perfect portion. You can totally opt in for sausage or chicken if you like too. 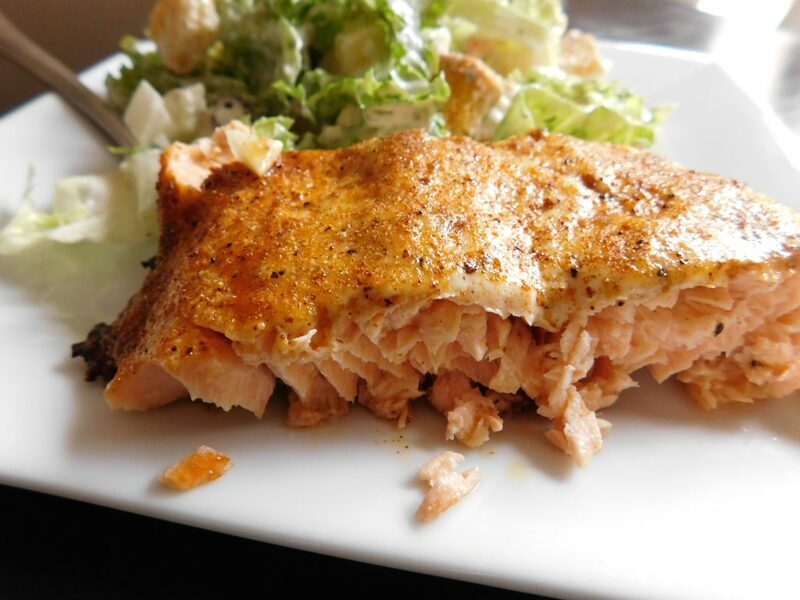 We’re pescatarian, so we only consume fish and seafood. The Louisiana seasoning I used is from a local store here in the Atlanta area (Nam Dae Mun). They offer a section of different seasonings that they sell for a cheap price, so I grabbed a package a while back and it was spiiiiiiicy! You will have to be your own judge on the amount of whatever brand you use. I opted out from using salt in the gumbo and just added it to the bowls as I served them. I often feel like we use too much salt within the dish when it really isn’t needed. But again, if you want to add salt to your pot, then have at it. 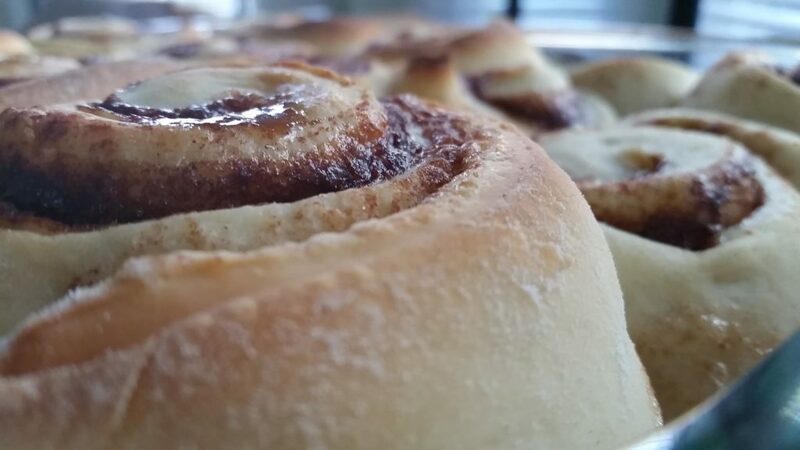 Totally make it your own. I was pleased with the outcome of this shrimp gumbo. Add oil and flour and mix for a few minutes. 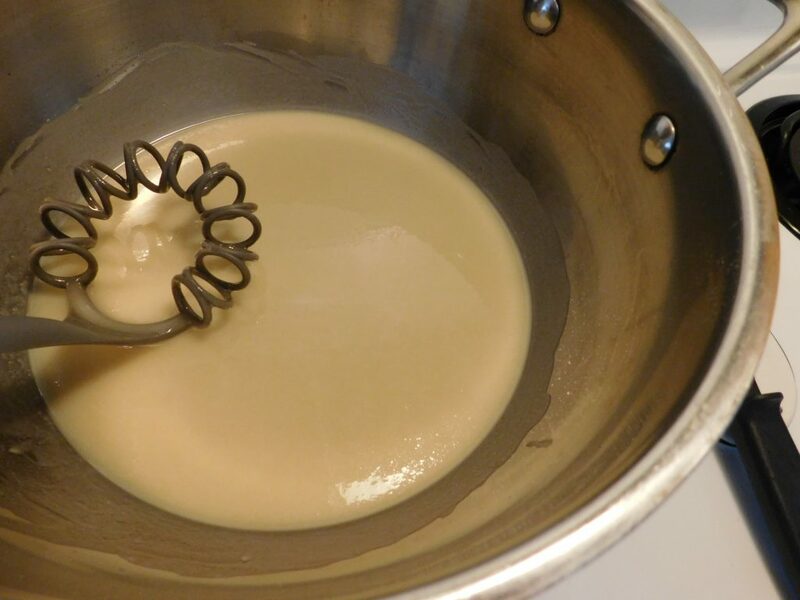 Turn down and let simmer for 1-3 hours. The longer you let it summer the better. Add file and shrimp. Allow shrimp to cook thoroughly. Taste test and add more seasoning or salt if needed.